Yep, you read it correctly. Here I come again with another Linden. If you’ve followed me for any amount of time you might have seen this as a common theme. Once I find an easy pattern for either me or the boys, I tend to make several in a row while I’ve got the pattern pieces out and instructions fresh in my mind. I bought several different Leah Duncan knits from Rachael’s shop back during a sale this summer (FYI for anyone reading in real time, she’s currently having another knits sale!!). I have always loved Leah Duncan’s fabric lines and was so excited when she came out with some knits too! 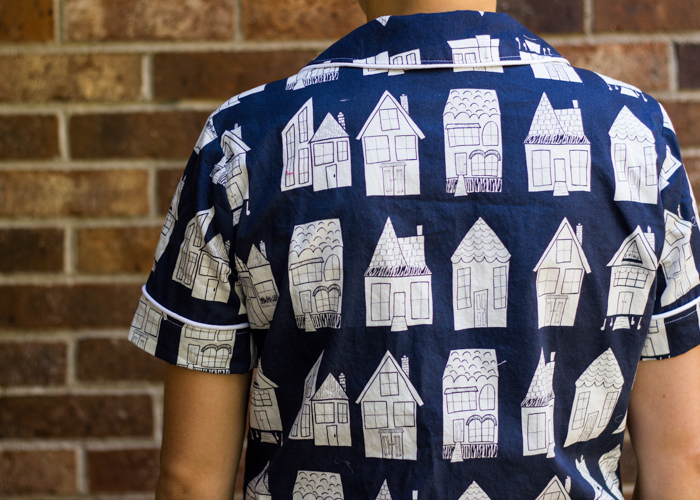 One I used to make a short sleeve Union St. Tee that I love and get so many compliments on when I wear it…and I just realized that I never blogged it. Oops. Maybe I can get a few pics of it before it’s too cold. Because it really it so cute. Anyway, I have been saving this one for just the right project and after my cattitude Linden turned out so well, I thought I’d try it again. I just so happened to have the perfect navy laguna knit in my stash to coordinate- justifying my stockpile immensely 😉 , and so I used that for the sleeves and neck binding. I made the size 6 per usual. I did make one mistake that kinda bums me out. I forgot to add the 1/2″ length to the bottom like I did with the previous version. So it still fits fine but that extra bit of length takes it to the perfection level. Oh well, next time I will remember! And I’ll just wear a tank top under this one so that it doesn’t bug me with pulling the hem down all the time. That’s actually why I liked blogging. I mean I love the sewing community and friends I have made through it all that but I also love having a journal of sorts of my sewing journey. I’m bad about making notes on my patterns, so when I go to make something for the second or third time, I usually pull up my blog post where I wrote about it and read over my modifications and changes I thought the pattern needed. It’s been super helpful! I neglected to blog about quite a few things last winter and I’ve had to work really hard to remember the changes I made last year as I come back to the patterns again this fall. So this is actually my third Linden. Yep, I have two others that I wear all the time but haven’t gotten around to blogging. Oops. I have wanted some of this Lizzy House cat fabric since I saw it released. It just looked like the perfect choice for a Linden. 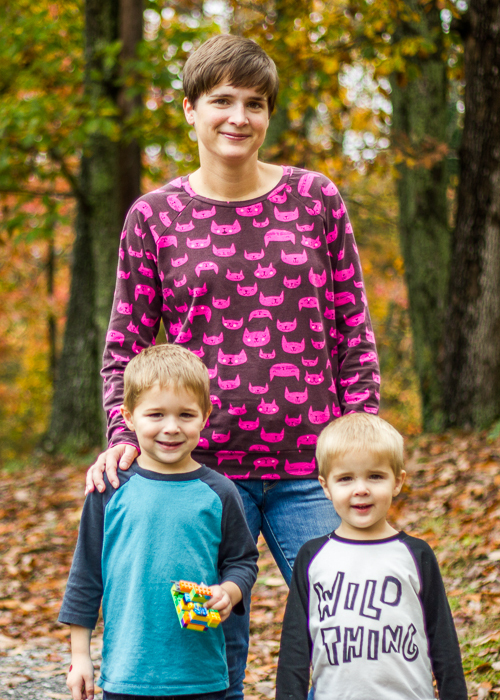 I mean, who doesn’t want a crazy cat lady sweatshirt? Funny part of this is that I have never actually owned a cat. But I always wanted to as a child so I guess this is my way of getting my cat fix. 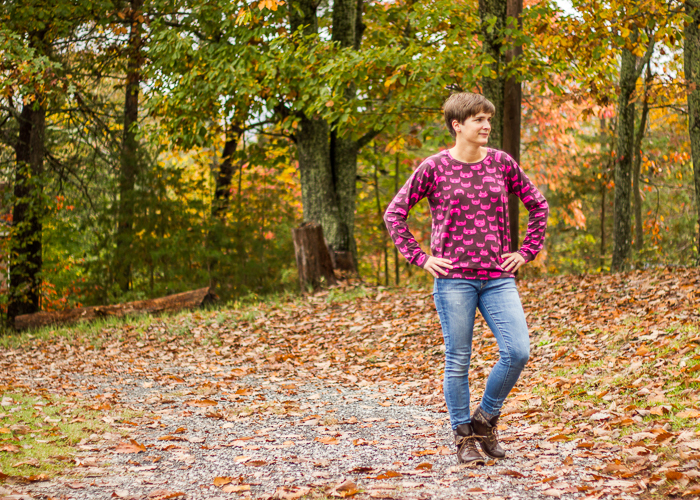 The pattern is the wonderful Linden from Grainline Studios. 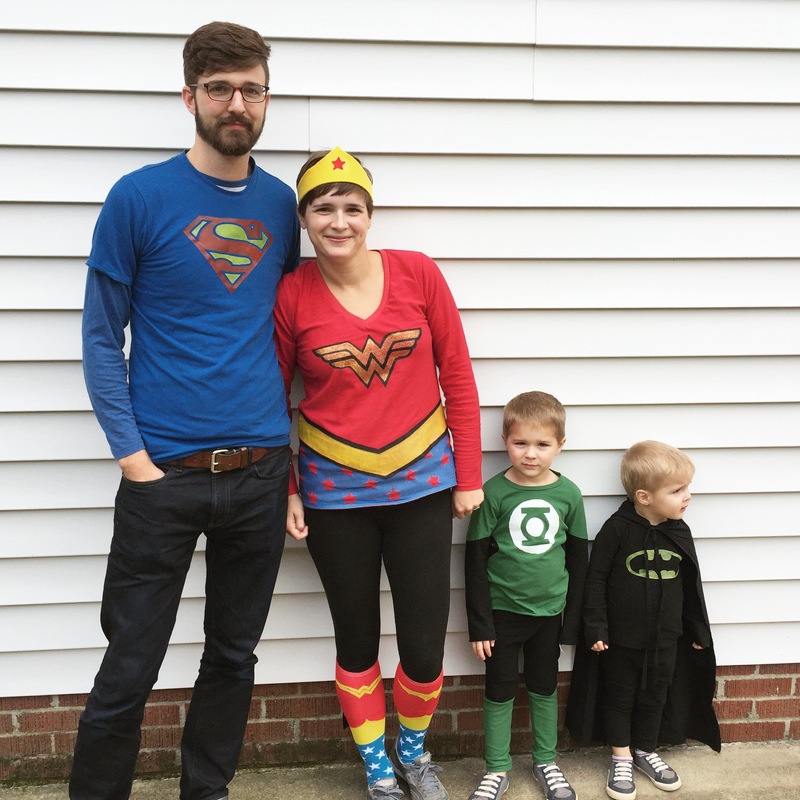 I bought the paper pattern during her online Black Friday sale last year- FYI fabric and pattern sales are the only Black Friday shopping I do…cannot resist those deals and a chance to support independent shops. The paper pattern instructions came in this adorable little booklet that was quite fun to use. I’m hoping she runs another Black Friday sale this year because I want to buy some of her latest patterns. I’m so taking paper patterns over PDFs if I get that option right now. Burnt out on cutting and taping! Anywho, moving on. I made the size 6 with just a small modification of adding 1/2″ to the length of the body. My others were just a teeny bit shorter than I liked and that extra 1/2″ makes it perfect for me. I love how different the shirt fits in this lighter weight jersey. 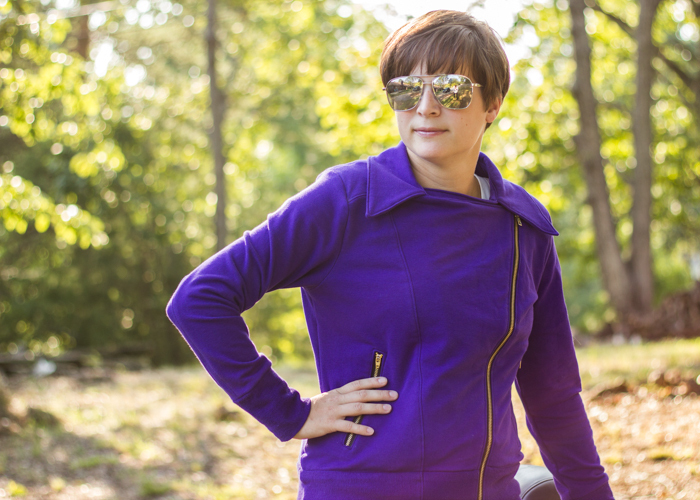 It has an awesome drape and is the perfect weight for cooler fall days that don’t need a jacket yet. 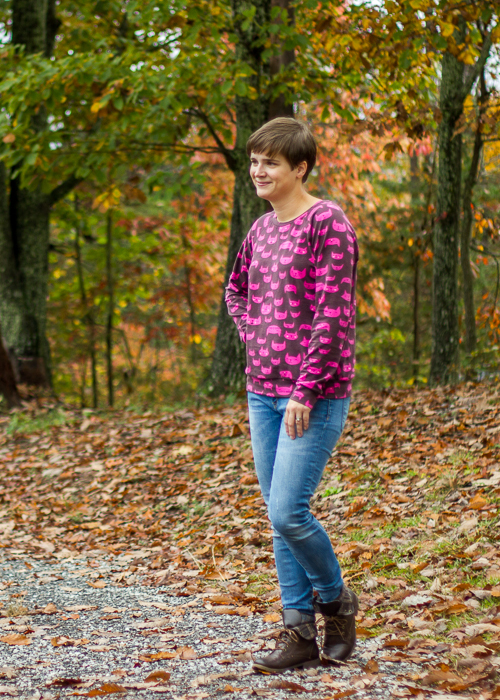 It’s got the oversized-coziness of a sweatshirt with the lightweight recovery of a t-shirt. Kind of the best of both worlds. Fabric is from Imagine Gnats shop. She’s out of this print right now but does have a few other Lizzy knits here. I have some more yardage of the purple butterflies that I may used for another Linden… we shall see. Definitely recommend the quality of these knits. 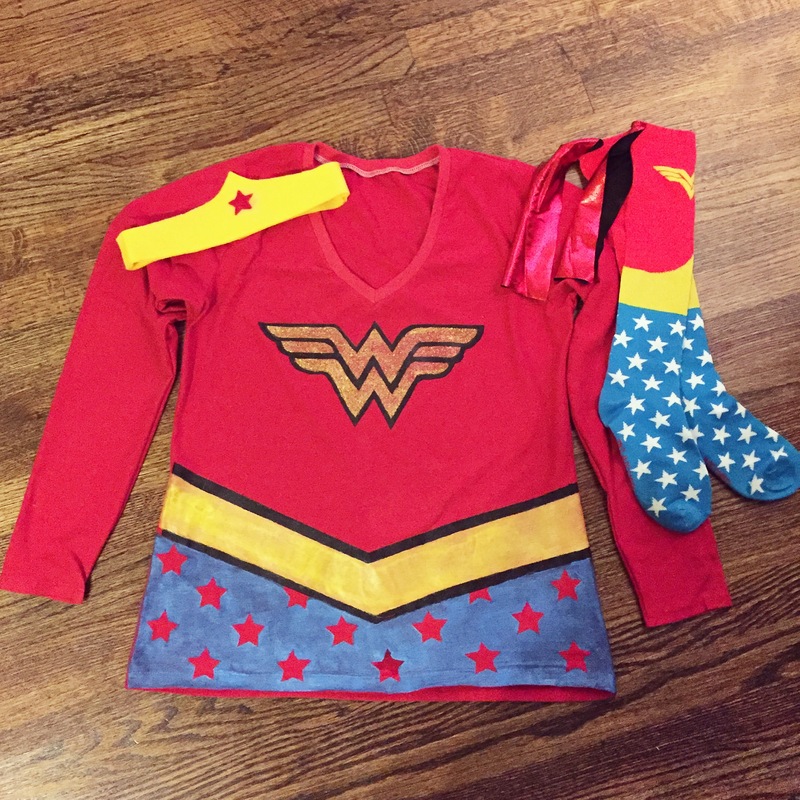 And I have to say, this is seriously the quickest sew! I think I cut and sewed it in less than an hour! Perfect instant gratification project. And no hems. Can I get a woot, woot for that?! I’ll leave you with my two little photo bombers who had to jump into the pictures because they’re just little picture hogs now. But cute ones, no? Last month I got an email from Art Gallery Fabrics asking if I would like to sew up something as a part of their September celebration of National Sewing Month. Um, yeah, didn’t have to think twice about that one. 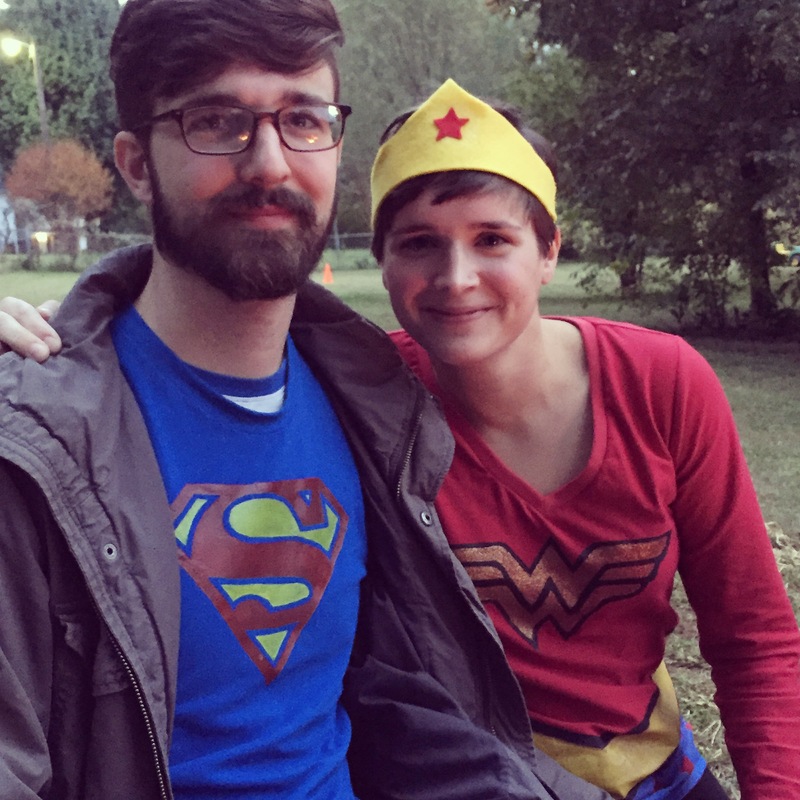 The thing that took me forever was deciding what to sew and what fabrics to use! 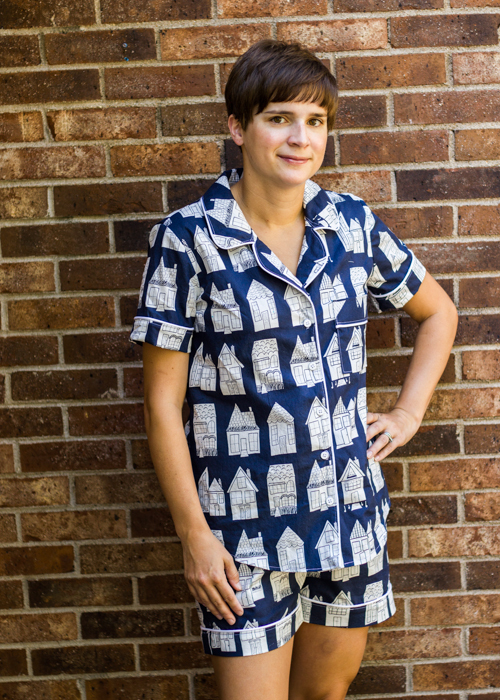 I’ve been dying to sew up some pajamas ever since Kelli at True Bias made these Lion pjs and after much thought I decided this would be the perfect chance to sew with some fun fabrics and make my pajamas. The fabric I chose was Block Party from the Happy Home collection. 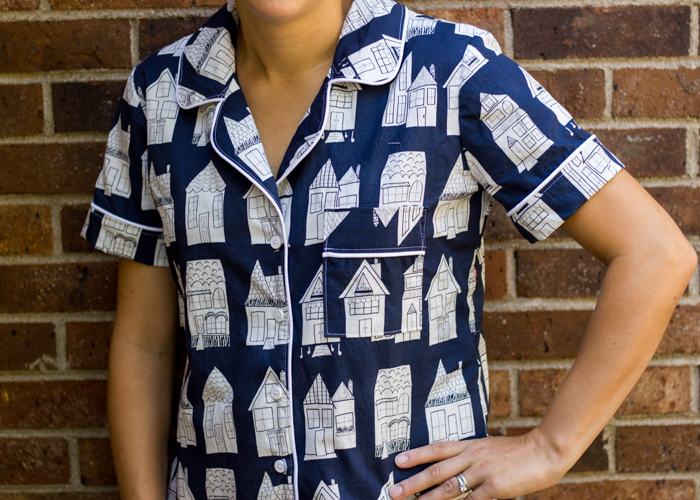 I don’t normally sew clothes for me with quilting cotton but the Art Gallery fabrics are a lighter weight than normal quilting cotton and work out pretty perfectly for pajamas. I also enjoyed using a fun print that I wouldn’t normally get to use! Not having any little girls, I don’t get to use all the fun prints out there very often so this was a treat for me. 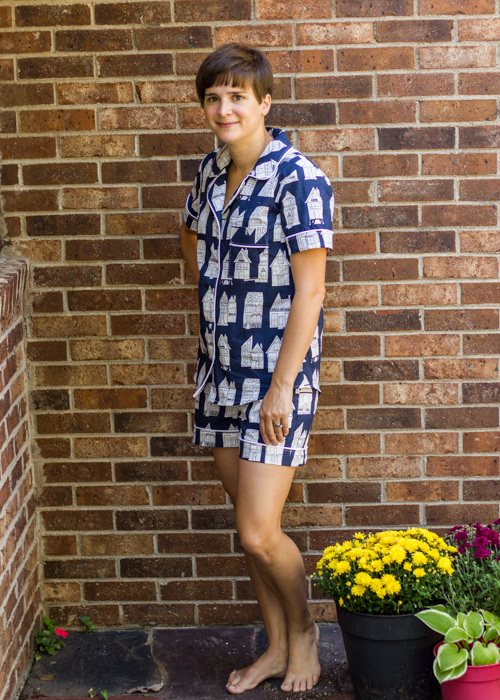 I used the Carolyn Pajama pattern– view C from Closet Case files. I’m usually a tank top and shorts pj person but I thought it would be nice to have some dressier pjs for when we have company or I just feel like wearing them all day. ;). Based on my measurements, I sewed up a size 8 and that’s pretty spot on. I like how it’s a comfy fit but not so boxy that it’s unflattering. This pattern is labeled as intermediate and I would definitely concur with that label. I actually found these a bit more complicated than I had assumed they would be. Mostly due to the amount of piping involved. I used some piping cord and Art Gallery pure elements in snow to make my own piping. I have never tried the continuous bias tape method but Heather’s tutorial was great and my bias tape turned out awesome! It is time consuming though- not going to lie about that…took way more time than I really had available. I had to rush thru the sewing part to get these finished on time. I also want to say that I am lucky enough to have a piping foot for my machine and while I don’t use it often, in cases like this, I am so thankful for it! I really aids the sewing process. There were a few times that I had to really use my brain to figure out the instructions. 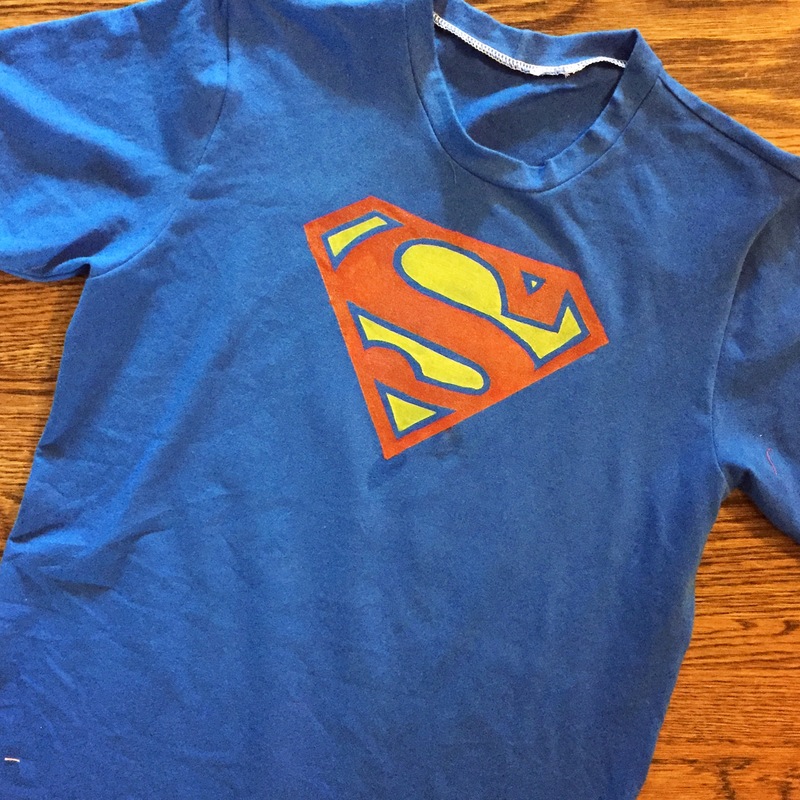 Nothing too horrible but I think a beginner sewist would struggle through the shirt construction. Once I got it all sewn up though, I’m super happy with how well the shirt fits and how comfy it is! 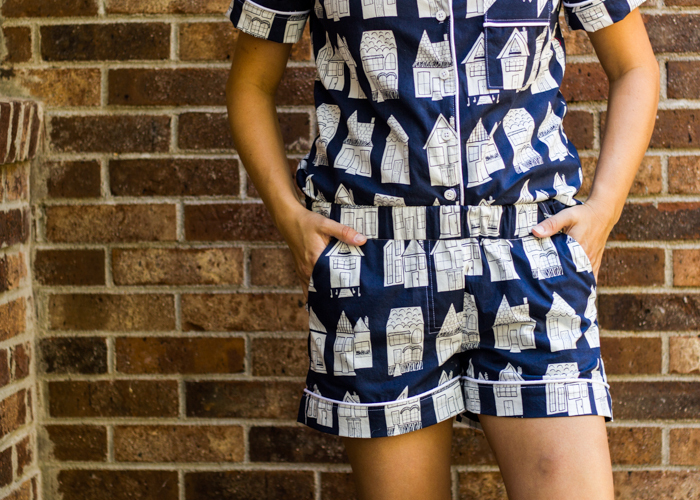 My one beef with this pattern is the shorts’ inseam. My cuff fits kinda funky- it rides up on the inseam and hangs lower on the outseam. And not in a cute way- it looks a little awkward. I even checked the pattern pieces to make sure I hadn’t sewn them backwards but I did sew them correctly. I must have made some sort of mistake though because I’ve searched other bloggers who made these shorts and none have mentioned this problem. I’m also really sensistive when it comes to seams touching my skin and I feel like the inseam is a little bulky and bothers me. I’ve had this problem when I’ve made the maritime shorts in a heavier fabric so it must just be me. The fit across the bum and hips is pretty perfect though so next time I make them, I think I just need to grade more of the seam allowance out of the inseam and stitch it down to keep it from bothering me. I’m trying to decide if I need to lengthen the crotch just a bit too. I will also raise the waistband just a teeny bit as I like my shorts to sit just a bit higher on my waist- after two babies, I’m not such a fan of low riders. lol. But considering I didn’t make a muslin, this is a pretty successful finish. Just a few tweaks to make next time and I’ll have perfectly fitting pajamas. And these will still get plenty of wear. In fact, I’m still wearing them today. 🙂 Who wants to change into real clothes when you have cute pajamas?